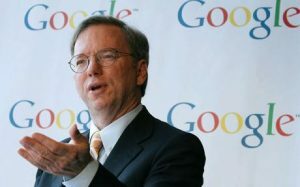 Google chairman Eric Schmidt has admitted that his company failed to anticipate the growth of social networking and as a result, its own social network, Google Plus, came too late. It may have been late to the game but with Google pushing Google+ as much as possible, the network has grown to 540 million users. Its user base places Google+ just behind Facebook as the second most popular social network. Although it is doing well in numbers, Google’s network has grown as a result of its forced integration into YouTube and other services. Google+ launched in 2011, seven years after Facebook opened up shop and three years after Twitter became public. This delay cost Google valuable time to capitalize on the rise of social networking which is still looking to create a network which will connect the world for years to come. Facebook and Google are competing in numerous ways and now that people are trying to connect with each other in every way possible, social networking is a major battlefront. At the core of the battle is advertising dollars which grow alongside increase in users as both companies acquire more data which can be useful for corporations looking to sell products. As much as Schmidt may be correct in saying that Google missed the social networking boat as it was getting started, the company appears to have turned around just in time as to make up for its delay. Twitter, which has long been considered Facebook’s most prominent competitor, is now smaller than Google+. Now that we are moving into 2014, Schmidt is predicting that mobile phones will become ubiquitous and that even in developing markets, smartphones will take over. Alongside the increase in smartphone usage will likely be an increase in the amount of people on social networks, meaning that Google+ will continue to be very important for Google in the coming year.